Following the release of their recent album, Iridescence, Brockhampton is scheduled to perform at the Shrine Expo Hall on Wednesday November 28th. The “Internet” boy band is set to have several more performances around the country as part of their third North American tour. Tickets for this event are going to range from $39.00 to $44.50 depending on the ticket chosen. This is an all ages event, with doors opening at 8:00 PM and the show beginning at 9:00 PM. Brockhampton, stylized as BROCKHAMPTON, is an American boy band that was formed in Texas and is currently based in California. 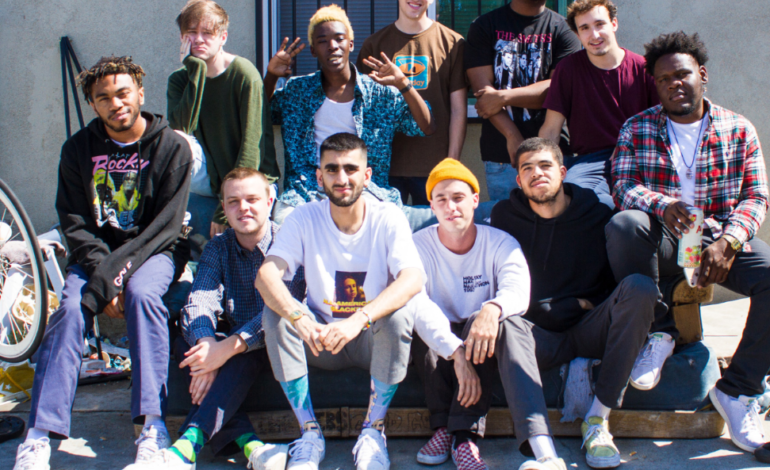 The collective consists of vocalists Kevin Abstract, Matt Champion, Merlyn Wood, and Dom McLennon, vocalists/producers Joba and Bearface, and producers Romil Hemnani, Jabari Manwa, and Kiko Merley (the latter two of which function as the duo Q3), as well as graphic designer Henock “HK” Sileshi, photographer Ashlan Grey, web designer Roberto Ontenient (who also features prominently in voice skits), and manager Jon Nunes. The group has a total of four albums and one EP under their belt. It was after their third album, Saturation III, that the group had signed a big record deal with RCA. Their recent album, Iridescence, followed and was eventually accompanied by the I’ll Be There Tour. Iridescence ended up receiving great reviews from most critics and debuted at number one on the Billboard 200 Albums chart. Listeners have shared a similar opinion of the album stating that it is diverse and very reflective of their mixed audience. Hit the link below to witness the hottest current American boy band at the Shrine.